​Whether you love cruising fishing, or water-sports, Starcraft has the right pontoon to give you the most of your time on the water. Get to know our broad lineup that ranges from peerless luxury to unbeatable value. 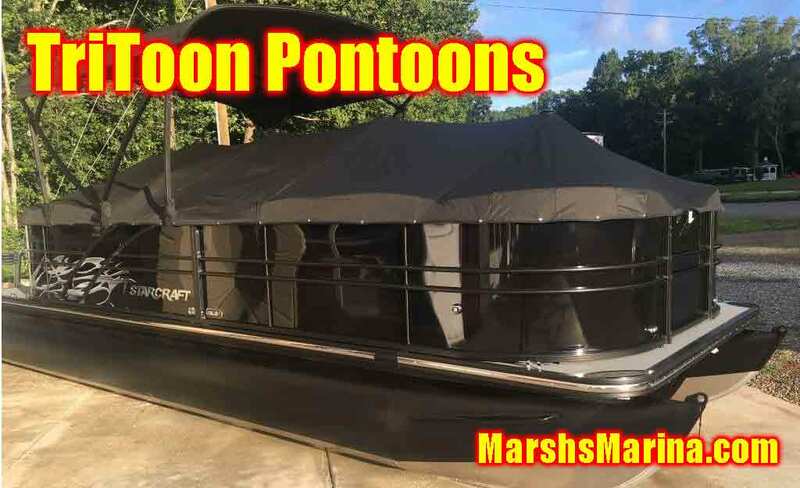 Cruise, Fish , Cruise and Fish, Loungers...So many Pontoon layouts! you will find one that is right for you! 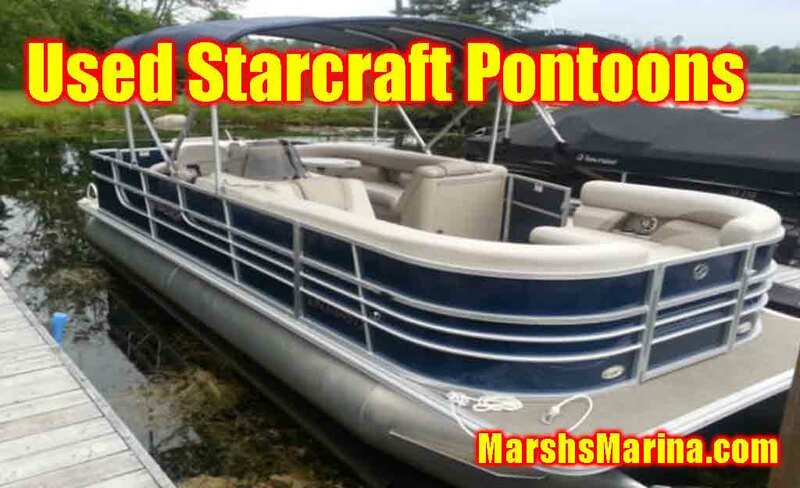 A Listing of Used Starcraft Pontoons for sale in our inventory including Specifications, Information, availability and affordable pricing on used Starcraft Pontoons! ​The new 2017 model line-up is sure to impress. Check out what’s new for 2017 in pontoons, deck boats, runabouts, and fishing boats. We know you’ll find something you’ll love. ​The award winning innovative HMX performance Tri-Toon package from Starcraft give you the impressive performance you want in a pontoon boat. From water-sports to sunset cruises, you’ll be turning on a dime with sport car handling, leaving you with that exhilarating feeling you’ve been craving. 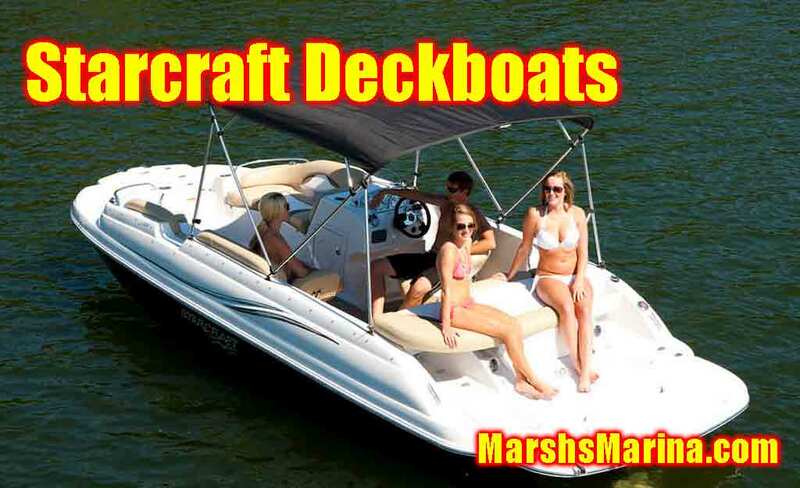 Starcraft Marine, also is the Largest manufacture of Fiberglass Deck boats. 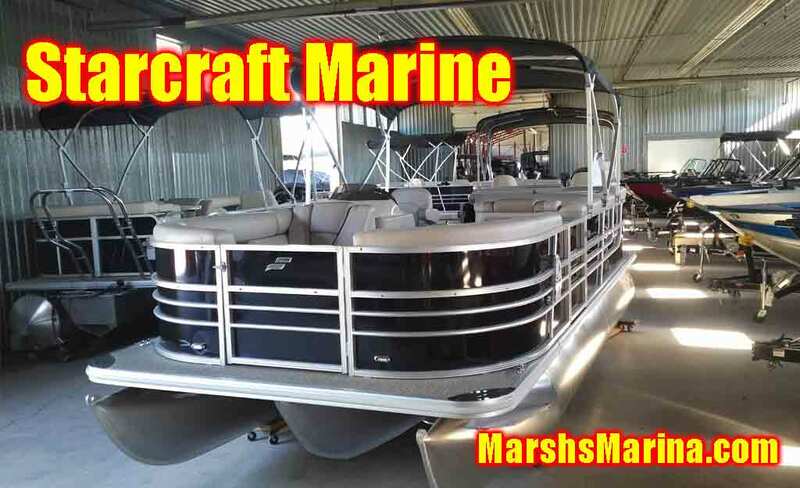 Take a look at the full Line up of boats for Sale in Ontario by Starcraft at Marsh's Marina, located just 20 minutes north of Barrie on the 400 highway in Simcoe County, at the Border of where Muskoka Begins! The Marina is on the Water and ready to take you for a test ride! Find Out about Starcraft Pontoons, How they Perform, Function in everyday situations and what kind of value you are getting!